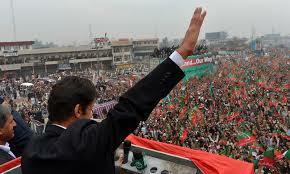 IK has given a workable charter of demand to govt. It is all democratic and has the support of almost all political parties. Good omen is that IK wants reforms while staying as part of the system. This is a golden opportunity for the Noon govt to take initiative and fulfill these demands. This entry was posted in Politics and tagged Election Commission, Imran Khan, PML-N, PTI on May 14, 2014 by akhterhayatmalik. A nationwide protest movement against electoral rigging is in the offing. Imran Khan has announced that the protest will not be stopped till its logical outcome- the electoral reforms to ensure fair and free elections- is achieved. 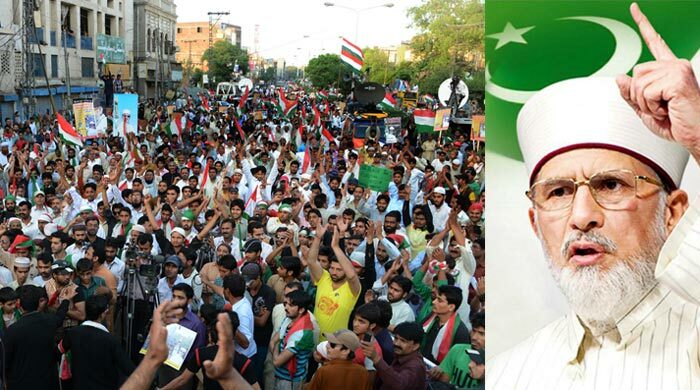 Parallel to PTI, another movement is also being launched by Dr. Tahir ul Qadri of PAT, with the aim of revamping the whole corrupt system that has played havoc with the lives and properties of the citizens. Both the leaders have pledged not to support martial law but to install a real democracy that will reflect the aspirations of poor masses and down trodden strata of society. A number of other political parties and religious will also join the protest. IK has knocked on all the doors to get justice in his cases against election rigging but couldn’t, even after a lapse of one year. The govt of PML-N seems to be ignorant of what all can happen on 11 May and onwards. They had neither taken any action to avert this eventuality nor are they expected to take any now. Only statements like ‘ foreign agenda’, hidden hand’, ‘derailing of democracy’ etc may not help to resolve the issue. Something concrete should have been done to satisfy the aggrieved party. Over the past one year the situation has been made more complex. 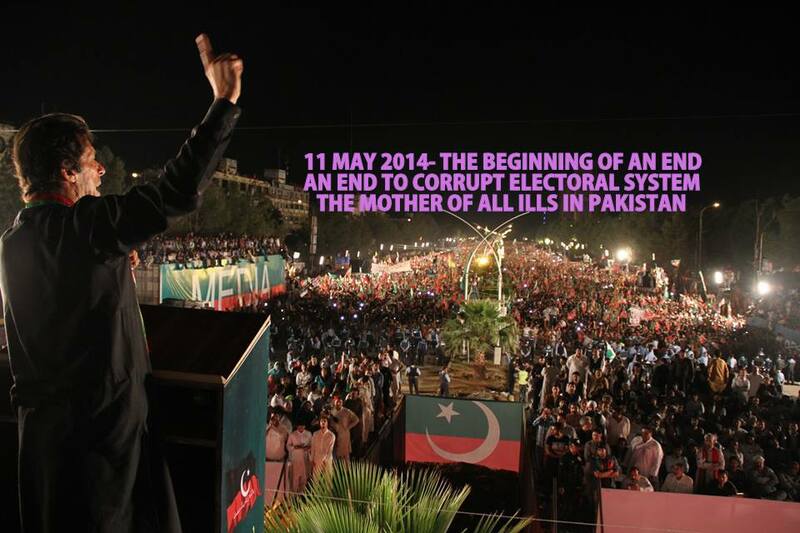 As per constitution the election tribunals are bound to decide the cases of alleged rigging within 4 months. As and where an election tribunal gave orders for recounting, the member from Noon went to courts and obtained stay orders. Ayaz Sadiq Speaker NA is dragging his case for 8 months. If PTI went to courts, they ruled that it is the domain of election commission and not the courts. But at the same times courts have been issuing stay orders in the same cases. The point to ponder is- if a system comprising ECP, election tribunals and the Judiciary at various level is unable to dispense justice even within one years, and the sitting govt also feels ‘unable’ to do anything in this situation, then what is the use of this inept and rotten system which needs revamping immediately? (1) If Noon thought that allegations leveled by PTI were baseless and Noon got a genuine mandate of the people then Noon should have voluntarily offered a broad based inquiry and ensuing results would have silenced PTI once and for all. (2) If during inquiry some irregularities came up, the govt could have taken appropriate action against persons responsible and would have made necessary changes in the electoral processes. Obviously Noon was not to be held responsible for malpractices in polls. (3) A re-polling could have been ordered in disputed constituencies. As Noon had secured an overwhelming number of seats, even if they lost 50% to PTI that wouldn’t have made any difference. Noon would still be in leading position to form govt. (4) Based on the facts obtained from inquiry and after punishing the culprits responsible for rigging, a comprehensive plan could have been made so that future elections were in fair manner. (5) In the worst scenario if the Supreme Court had rendered the whole elections null & void and ordered re-elections, it would have been a feasible option. Re-elections are the solution for many problems. It would have averted the chances of anarchy and martial law. (1) If the protest is not supported by people ie the people do not come on street in reasonably large numbers and the protest becomes unsustainable then the movement will fizzle out. In that case Noon govt can relax and pass the remaining time in peace. This situation can also arise if the govt is successful in luring in the protesting parties to a compromise. The movement will then come to an end, waiting for the govt promises to be fulfilled, which will never be. (2) If people come out in large numbers and the movement gains momentum with every passing day, the chances are that it may swell beyond proportions. In that case the govt will make hasty and erratic decisions and will eventually scum to public pressure. In the case of movement becoming successful the govt will come under tremendous pressure. Army is likely to remain neutral and will not become party with Noon against will of the people. In that case the movement may result into an interim govt taking over the power. Every problem has its solution, but with the passage of time as the problem becomes complex and serious the solutions tend to become more difficult and costly. We have examples as to how the strong rulers were disposed off in 1968, 1977, 1999 and 2008 as a result of public uprisings. How PML-N govt will tackle this issue will be a test of its political acumen. This entry was posted in Politics and tagged Election Commission of Pakistan, Fair and Free Elections, Imran Khan, Qadri on May 14, 2014 by akhterhayatmalik. Is this govt of the Noon hanging on our heads, really the govt of people of Pakistan? I am sure it is not. A leader, a party or a govt who cannot assess the importance of an institution of national defense (ISI) vis a vis a private media group and equates them to be at par, have no right to sit on treasury benches and decide the fate of 1900 million Pakistanis. It is dangerous and a risk for national security. A PML-N leader Uzma Bukhari explains the government stance on Geo/ ISI controversy. Please see this video link.. 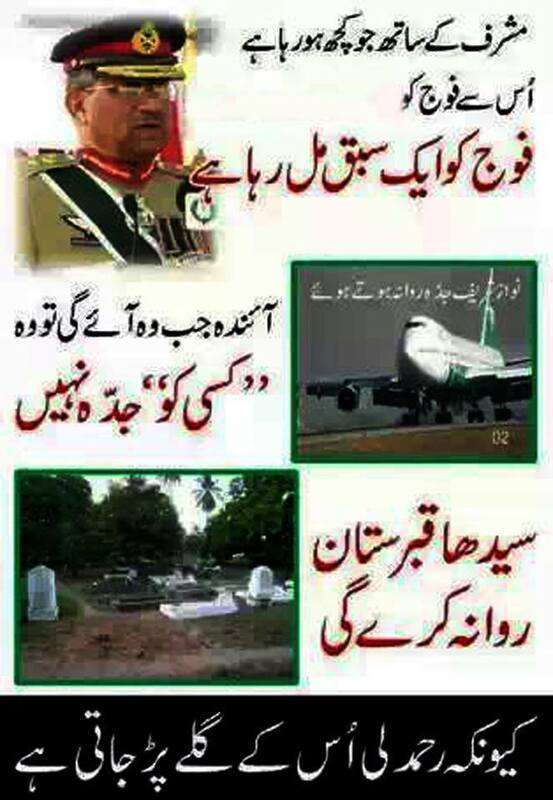 This entry was posted in Politics and tagged Media, Nawaz Sharif, PML-N on May 2, 2014 by akhterhayatmalik. Is India really a secular democratic republic? Hindus have a peculiar, complex mentality. Intolerance and prejudice are the hallmark of Hindu culture. Today’s India is an artificial paradigm of democracy, secularism and non violence. Hindus have never been able to reconcile with the fact that sub continent of Indo-Pak belongs to a multiple spectrum of races and religions and is not a domain of Hindus only. They are obsessed with the idea that everybody living in India must be a Hindu. Before 1947 they had started a campaign known as ‘Shudhi’ to forcibly convert Muslims into Hinduism and even today they want that Muslims in India should lose their identity and get merged with majority population of Hindus. Just see the video on the link given below and you will come to know the true face of extremist Hindus in India. This should be an eye opener for our corrupt and self-centered leaders and misguided intellectuals who consider India to be our friend. Asif Ali Zardari had once said in an interview with a foreign journalist that there is a Pakistani in every Indian and there is an Indian in every Pakistani. Nawaz Sharif had remarked while addressing an Indian delegation that we worship the same god whom the Indians worship, and that we are the same people with common culture and only a thin line ( international border) has separated us. We must realize that a ‘Baniya’ can never be friend of Muslims. If the prejudiced Hindus can do this to Indian Muslims, what will be the limit of their maltreatment for Pakistani Muslims? It is time that we should strengthen our Pakistani nationalism, repose confidence in our institutions of national security and expose the enemy agents within our ranks and files, whatsoever their adopted cover may be.. This entry was posted in Politics and tagged Extremism, Hindus, India on May 2, 2014 by akhterhayatmalik.